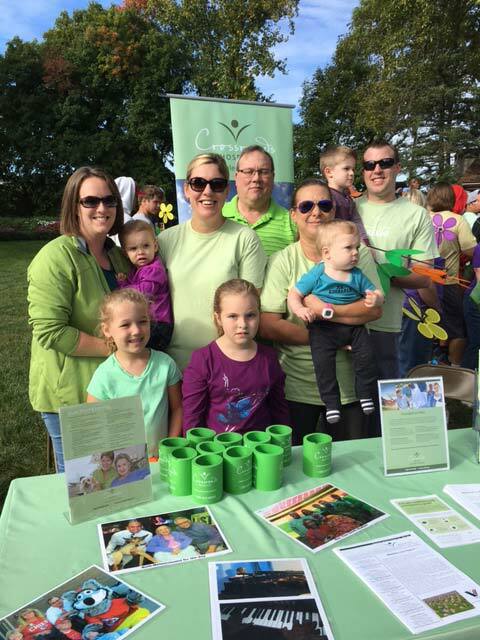 Over 200 members of the Sedalia, Missouri community were out in full force to support those suffering Alzheimer's and other dementias. 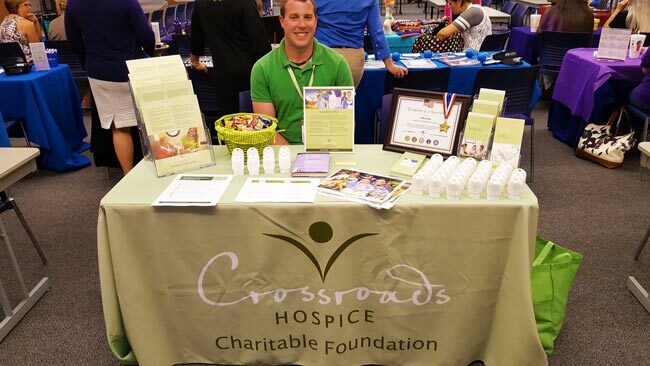 Our foundation had the privilege to provide free end-of-life education and grief recovery support information. 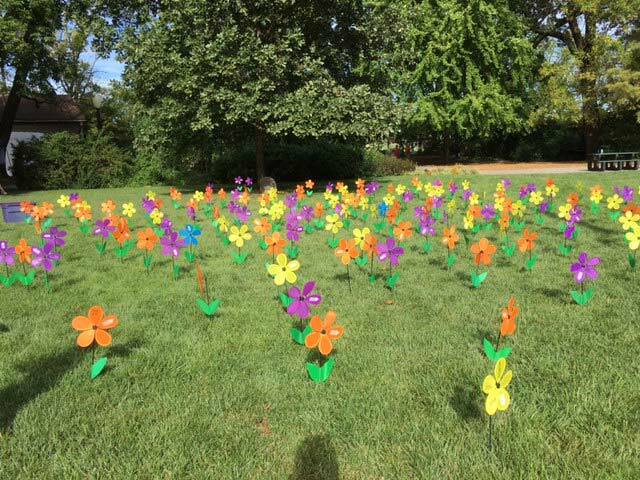 Each flower in the Walk to End Alzheimer's "Promise Garden" is a promise to honor, care, remember, and fight for those suffering from Alzheimer's. 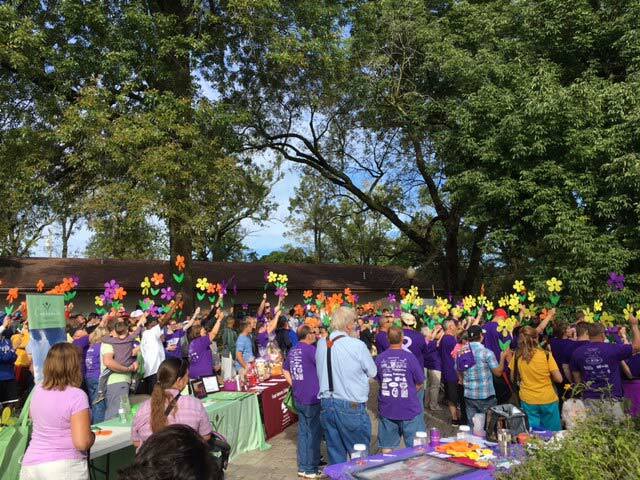 200 memebers of the Sedalia, Missouri community hold their "Promise Flowers" high as a promise to honor, remember, care, and fight for those living with Alzheimer's and other dementias. Over 5 million Americans are currently living with Alzheimer’s or some other form of dementia-related illness, and nearly 33% of all seniors who die each year are afflicted by some form of dementia at the end of life. At the current rate of dementia diagnoses growth, nearly 16 million American seniors will be living with Alzheimer’s and other dementias by 2050. These numbers and statistics are not being observed idly by the Alzheimer’s Association, nor by the people of Sedalia, Missouri. They’re standing together, taking action, and raising awareness of how we can combat this deadly disease and help those who are suffering from it. This year, Sedalia, Missouri hosted the 2016 Sedalia Walk to End Alzheimer’s. Over 200 people from all walks of life — people actively living with the disease, caregivers, doctors, nurses, and other healthcare professionals — proudly walked together in support of those living with dementia. 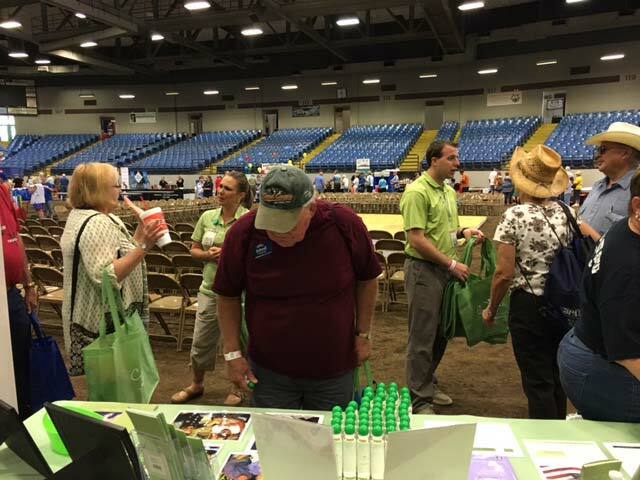 Current caregivers, surviving family members, and medical professionals were in attendance at our booth, receiving free end-of-life resources and education and grief recovery support. 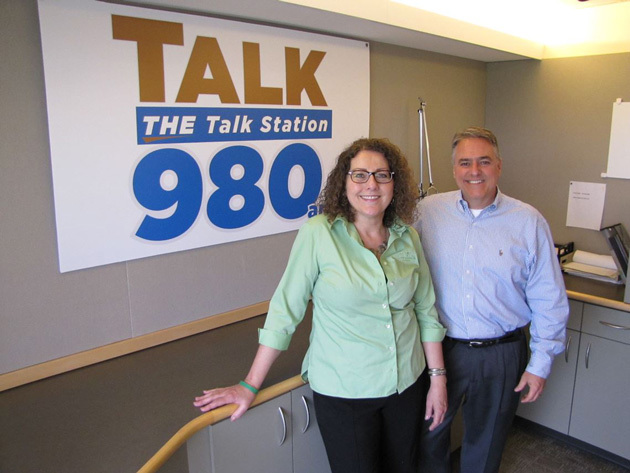 We are proud to have been a sponsor of this year’s walk and to be a help to those impacted by Alzheimer’s and other dementia-related illnesses. We are grateful for the Sedalia community, their strength, and their steadfast support of those living with dementia. We look forward to helping them and the Alzheimer’s Association make a world without Alzheimer’s a reality. Elder Care Workshop: "Hindsight is 20/20"